A Neanderthal tooth discovered in the Pešturina cave is a small but exciting step towards reconstructing the complex prehistory of human migration and cultural contact in the Central Balkans. This book is the story of the early years of the Austro-Hungarian air force by the Polish historian Andrej Olejko. This is an impressive piece of research and is extensively illustrated with period photographs. A new study of the German invasion of Greece in 1941 and the British and Commonwealth intervention by Jeffrey Plowman, published by Pen & Sword Books. It covers the strategic decisions and the campaign itself. However, it also argues that the campaign demonstrated the limitations of Blitzkrieg, in the mountains and limited infrastructure of Greece in 1941. We take a look at the armed forces of the Kingdom of Yugoslavia just prior to WW2. While it didn't last long following the German invasion of 1941, it might have had to fight at least twice in 1939. In conflicts that we're only narrowly avoided. We take a detailed look at one such possibility - the Salonika Campaign of 1940. 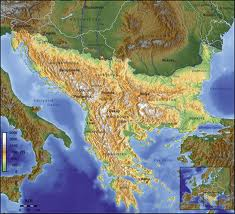 Our Editor's review of a book of scenarios for gaming the Balkan Wars 1912-13. It is designed for the rule set Bloody Big Battles, and they don't come much bigger than this conflict. Fourteen battles with maps and orbats for all the armies involved. Very good! 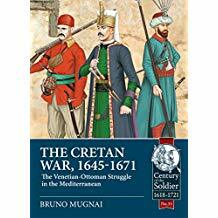 Our review of the latest in the excellent Helion 'Century of the Soldier' series covers the Cretan War, fought between Venice and the Ottoman Empire for some 26 years in the 17th century. Campaigns took place on sea and land across the Eastern Mediterranean, including the Balkans. Our review of Nigel Birch's dissertation on the role the British armed forces played in the final stages of the Salonika campaign in September 2018. Warlord Games have published a new game of coastal warfare in World War Two, Cruel Seas. In this feature article we take a look at coastal warfare in the Adriatic during 1943 and 1944, which offers plenty of examples of this type of warfare. Then we build the Regia Marina. The Editor's review of James Heneage's novel of the Greek Revolution. While the author stretches the historical facts a little, the broad canvas of 1824-26 is all there. He tells a good story around the international events that led to the liberation of at least part of Greece from Ottoman rule. Archaeologists have found the shipwreck at the bottom of the Black Sea where it appears to have lain undisturbed for more than 2,400 years. The 23-metre (75ft) vessel, thought to be ancient Greek, was discovered with its mast, rudders and rowing benches all present and correct just over a mile below the surface. We review the story of the Hungarian King, Matthias Corvinus and the fate of his lost library by Marcus Tanner. History and books, what's not to like! With all the focus on the Battle of Amiens and the hundred days to the armistice, we look at how campaigns in Balkans played an important part in ending WW1. In particular the Battle of Dobro Pole in September 1918. This new study of the fascinating 'Napoleon of the Balkans' is well written and beautifully illustrated. Ciaran Conliffe tells the story of the female leader of the first naval force to declare for an independent Greece. Our review of a sympathetic biography of Prince Paul Karageorgevic, who was the Regent of Yugoslavia for a fateful seven years before the coup d'etat of March 1941 and the subsequent Axis invasion. Our review of Nicholas Dorrell's study of the Russo-Turkish War of 1711. A concise narrative of this little known conflict, well illustrated including colour plates. ​The Tsar had a lucky escape. In other circumstances Russian history could have been very different. 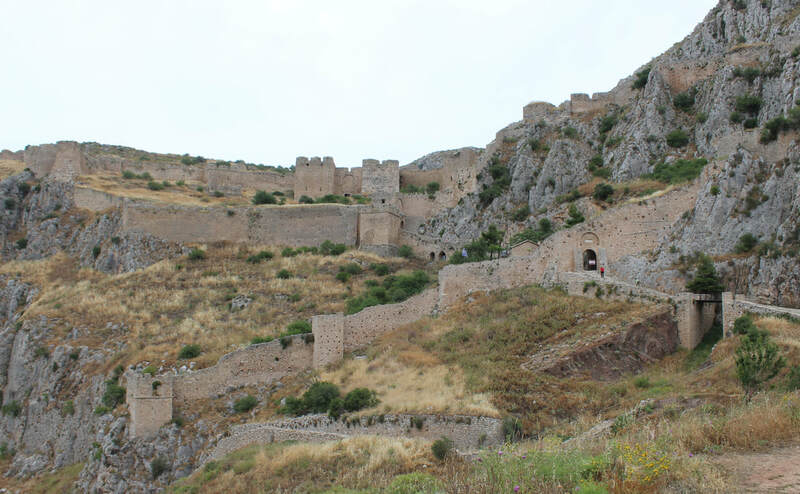 The Editor's 2018 Balkan tour was The Peloponnese. Based in Nafplio, he covers Corinth, Epidaurus, Mycenae, Sparta and Mystras. And a trip to Athens and the War Museum on the way back. Our review of Prit Buttar's 'The Splintered Empires'. This is a history of the Eastern Front between 1917 and 1921. This is a really complex story, very well told, with plenty of detail for the military historian. There are also decent maps, something often missing in other studies. Our review of 'Flashpoint Trieste' by Christian Jennings is the story of a contested city at the end of World War Two that can reasonably be described as the first battle of the Cold War. A History Network podcast covers a little known skirmish between Canadian peacekeepers and Croatian forces in 1993. A set of historic maps of the Hungarian monarchy, and the Western Balkans, became the most significant addition to the Old Art Collection in the Slovak National Gallery (SNG) last year. They can be viewed online here. 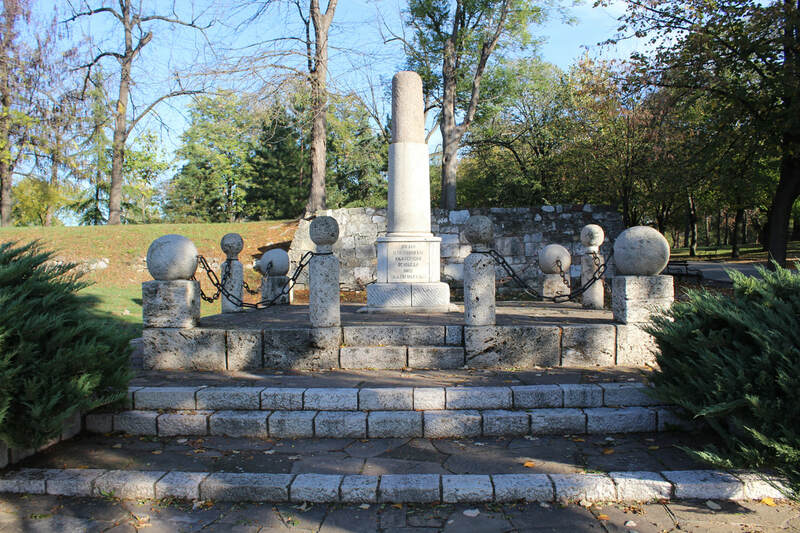 Our first feature article of 2018 covers the Battle of Aleksinac 1876. The decisive battle of the Serbo-Turkish War of 1876. A narrative of the battle with photos of the battlefield today. ​The Editor's tabletop refight of the battle is covered in this blog post. A new history by A.K.Brackob of the Albanian medieval leader. For some 25 years he led the resistance to Ottoman invasions, with limited assistance from outside the Balkans. Our review of Dusan Babac's book on the Serbian army 1914-18. Profusively illustrated study of the army, with a good overview of the main campaigns. The definitive book on the subject. A guest post by Andrew Prockter outlines the armed forces of the Wallachian and Moldovan principalities during the Napoleonic wars. Our feature article discusses the Transnistrian War of 1992. The breakaway republic's conflict in Moldova and the Russian involvement. This feature article looks at the Zadruga households of the grenzer in the military border. 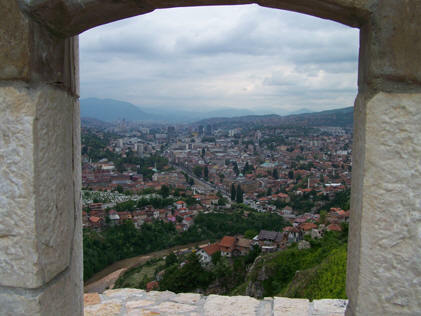 ​1944 - 75th anniversary of the liberation of the Balkans from Nazi occupation. 1919 - Greek-Turkish War and Rijeka declares independence. 1419 - Ottoman-Venice peace treaty. Mihail I defends Wallachia against Ottomans. 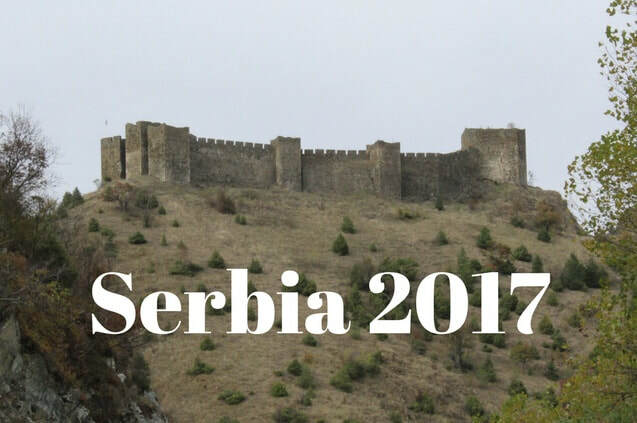 Scottish women who volunteered in Serbia during World War One are being commemorated in a series of stamps. The British Embassy has teamed up with Serbia Post to celebrate the efforts of the Scottish heroines. Manx-born sculptor Rayner Hoff is being celebrated with the ﻿launch﻿ of a new stamp collection from the Isle of Man Post Office. 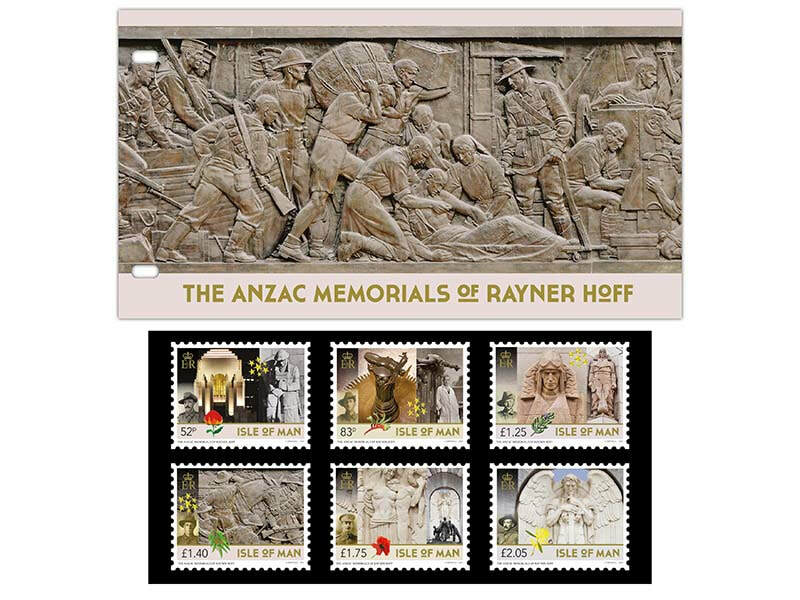 The collection of six stamps features the ANZAC war memorials in Sydney and Adelaide, Australia, where the local artist’s work is featured. This is the story of Valentine Baker who commanded 3000 Ottoman troops in a classic rearguard action against 25,000 Russians during the Russo-Turkish War of 1877. The editor's review gives this one highly recommended. Well written and researched - just an amazing story. Balkan Travel. If its worth seeing we have probably been there.